Home Travel Thinking About Jumping Ship After The General Election? Thinking About Jumping Ship After The General Election? The general election is fast approaching! We all have our hearts set on one particular person to lead the way for our country. We’ve listened to each of their campaigns and we’ve weighed up the odds, but who will it be? Who will prevail and come out on top? Have you thought about what you will do if your chosen candidate doesn’t make it into the comfort of No 10? Thought about packing up and moving to a different country? Well, we’ve got it covered! 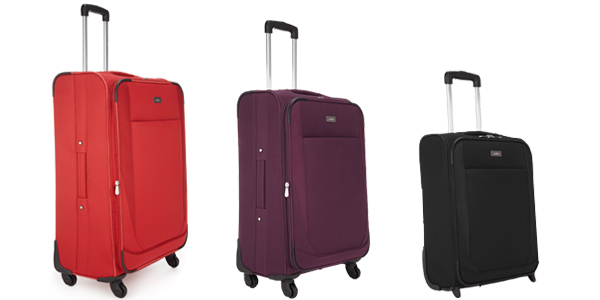 Take a look at our fabulous luggage nominees to help you with your post-election blues… Which case will you vote for? Our first candidate is the Antler Barina range. This softcase suitcase features a highly durable 600 denier polyester outer fabric to fend off bumps and thumps on the luggage carousel. Fully catered with a lined interior to provide your belongings with that extra little bit of protection. Each case within the Barina range has been fitted with comfy top and side grab handles for easy lifting, along with an adjustable pull handle for easy maneuverability. Each individual suitcase has been tailored with an easy access front pocket (perfect for quickly grabbing your documents when it comes to checking in!) and a secure inner mesh pocket to help optimise the organisation of your luggage. Worried about overstepping the luggage weight requirements? Don’t worry! When you purchase a case from the Barina range we’ll give you a set of weighing scales for FREE! For our next contender we have the fun yet sophisticated Antler Salisbury collection. This lightweight, two toned, softcase is a perfect addition to your traveling necessities. The fully lined case has been designed with internal and external compartments for a well organised flight, plus it is fitted with a TSA lock to keep to keep all of your valuable possessions safe and sound within your case. Carting the Salisbury range through the airport is a breeze with its easy glide wheels and additional ultra-comfortable carry handles. We all know how annoying it is when you get to the airport and you are told that you have packed too much and need to pay a little extra for that additional swimming cosy. When you purchase a case from the Salisbury range you have the opportunity to buy a set of luggage scales for half price! 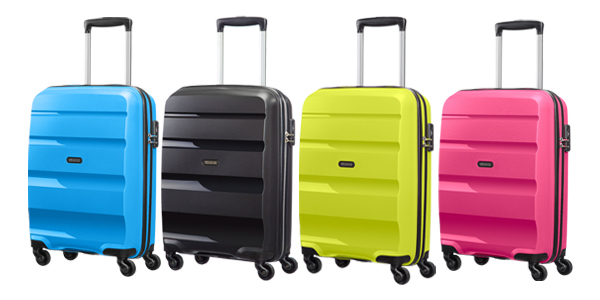 Third in line we have the Samsonite S’Cure Spinner range. They are perfect for any seasoned jetsetters as they are currently the lightest luggage available in the Samsonite range. 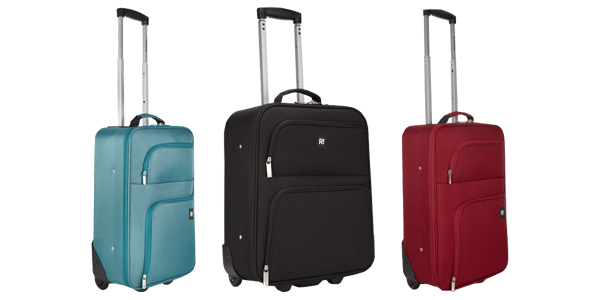 Due to its shell injected Flowlite™ properties, this case is extremely effortless to carry around on long haul flights when combined with its supporting multi directional wheels. But don’t be fooled by the weight of this case! The S’Cure consists of an exceptionally robust hard structure, which means your luggage won’t get damaged easily when shipping your belongings to and from cargo. 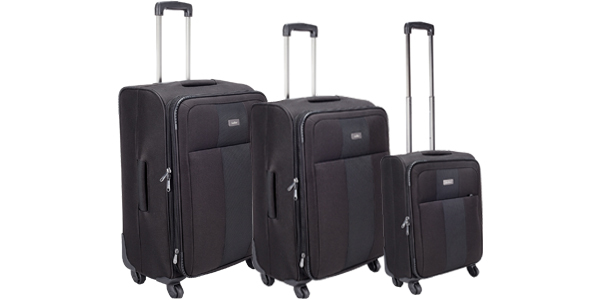 Each S’Cure suitcase is equipped with a 3 joint TSA locking system so your luggage couldn’t be any safer! Last, but by no means least, is the Revelation! Alex range. This range makes the perfect travelling companion as each case has been designed with all types of voyages in mind. Shelter your possessions from the rain and keep them dry with the Alex range. Thanks to its high quality waterproof fabric casing you can now avoid unpacking damp and soggy clothes. But function has not been sacrificed for style! This particular case has been designed with a contemporary and stylish geometric inner lining incorporating an internal mesh pocket; perfect for separating and categorising your belongings. We’ve all made that journey from the station to the airport via the tube or train, we know that even though we only have to make small journey to make, trying to control our cases can be a challenge in itself. Each case has been secured with side footstuds to provide our cases with extra balancing support. With the Alex’s swift and sleek wheels you will be whizzing to your next terminal with ease. This range comes with a highly secure combination padlock to keep your entire luggage protected. Don’t forget to vote on May 7th the fate of our new prime minister is in our hands. 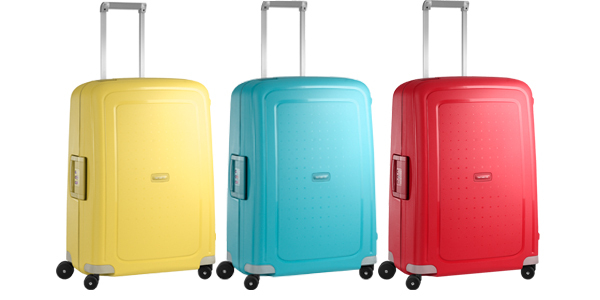 American Tourister, Antler, General Election, Luggage, Revelation! Alex, Samsonite, suitcases, travel. Bookmark.